Today was the day. I went and got a hair cut for the first time in three years! I had been growing my hair out to donate it, and as you can imagine, not cutting your hair for 36 months means some pretty long tresses! This is actually the longest I’ve ever had my hair. I’ve donated my hair twice before, both times to Locks of Love. This time I did some research about hair donation and decided to support a different organization. I wanted to insure that the hair I sent would be used responsibly, and I preferred an organization that didn’t charge its recipients. Pantene’s “Beautiful Lengths” campaign seemed like the perfect fit. 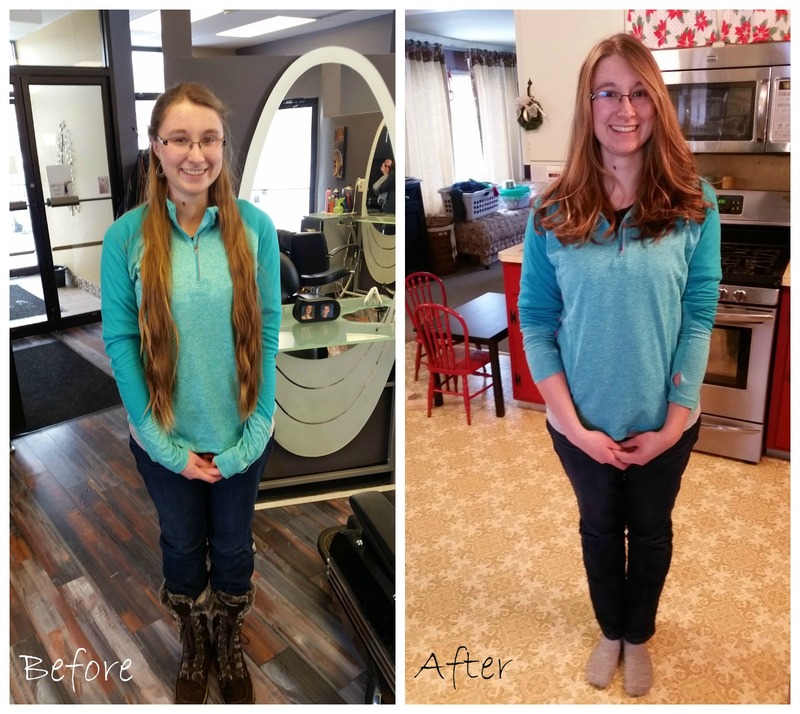 Beautiful Lengths is a partnership between Pantene and the American Cancer Society to “graciously help women who have lost their hair to cancer treatments”. They turn the hair that is donated into real-hair wigs and provide them to cancer patients free of charge. I’ll be sending my foot long pony tail to them soon! It will take some getting used to it being so “short”, but I’m really happy with how it turned out! And hopefully it won’t take 20 minutes to brush anymore! 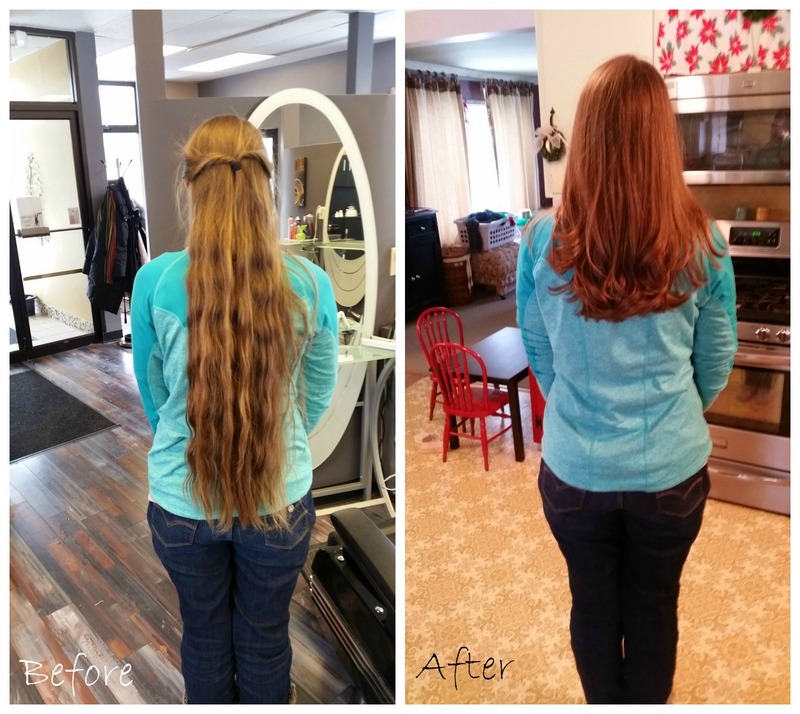 Have you ever donated your hair before? If you’d like more information about donating to the Beautiful Lengths Campaign you can see the official website here. 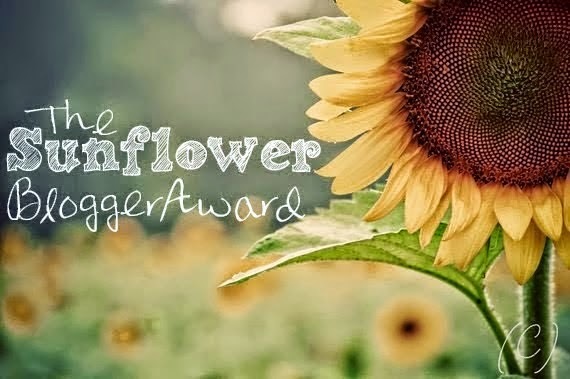 So, Emily Ann tagged me for the Sunflower Blogger Award,*cough*, 2 and a half months ago. Oops. But since I know what a lovely friend Em is I think she’ll forgive me and let me still participate. I have to tell 11 random things about myself, answer Emily’s 11 questions, write 11 questions of my own, and then tag other bloggers to enter. Feel free to comment and answer the questions yourself. Also, you can check out Emily’s Sunflower Award post here. 1. I am a huge klutz. Seriously. I’ve broken both of my little toes several times simply from stubbing them, I’m constantly running into things, and I have over 10 scars just on my arms and hands! 2. I hate shopping. I’m not a very decisive person so I have trouble choosing. I also have vertigo so stores can make me dizzy. I do enjoy book shopping though! 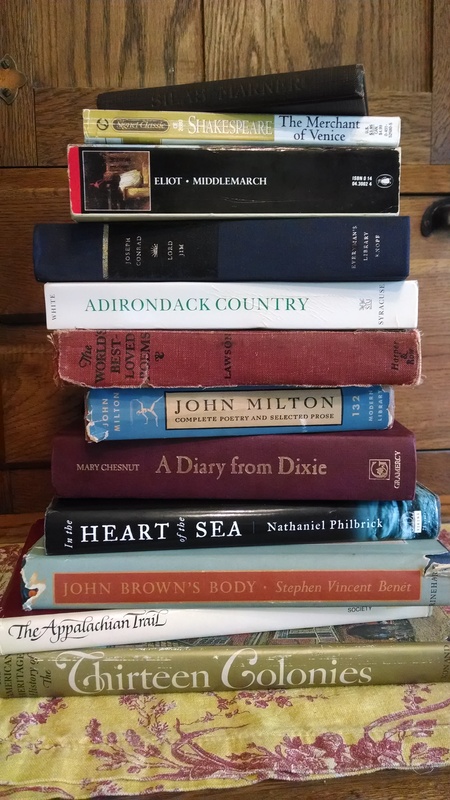 Some of my recent book acquisitions. I got all 12 of them for $5 at a used book sale! 3. 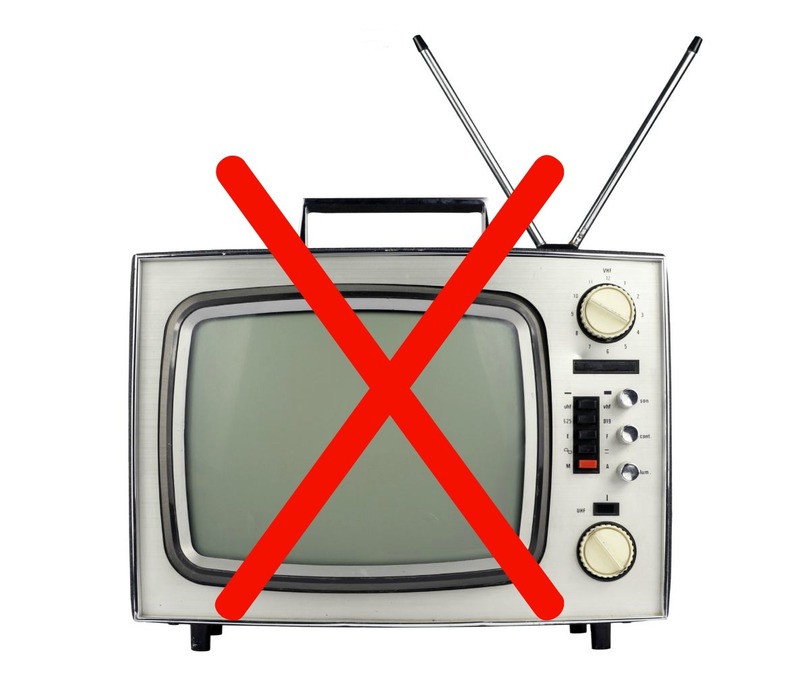 I’m considering not having a TV when I grow up . For one thing, I would like to live without electricity for at least a year (Yup, I really just said I want to live without electricity for a year. Actually, I would like to do it longer, but I tell my family only a year so that don’t think I’m totally nuts.) I also think the time spent watching television could be more wisely used somewhere else (like reading books 🙂 ). 4. I really don’t like frogs. I used to be terrified of them when I was younger and would run away screaming from them. Now it’s a more mild dislike, but I still don’t want to hold one. Bugs and snakes are totally fine though! 5. When I went to public school from kindergarten to 4th grade I brought a peanut butter and cheese sandwich for lunch every. single. day. 6. One of my passions/hobbies is archery. One of my favorite activities in the winter is to snowshoe to my cousins’ house and shoot my bow (they have a better target than we do). 7. My hands and feet are always cold. It could be 80 degrees out and my feet would still be cold. The worst part is my mom and I have this weird thing when our hands get cold it aches all up our arms into our shoulder blades. 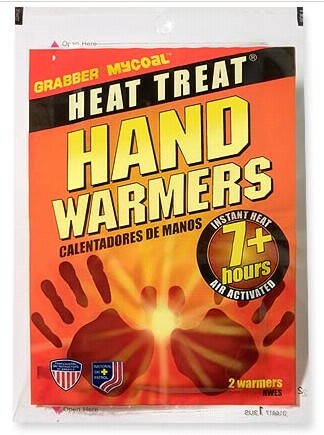 My sweet siblings even bought me a box of hand and toe warmers for Christmas, and they’ve proved essential when snowshoeing and sledding. I console myself with the maxim, “cold hands, warm heart” 🙂 . 8. My two favorite words are “verdant” and “indelible”. 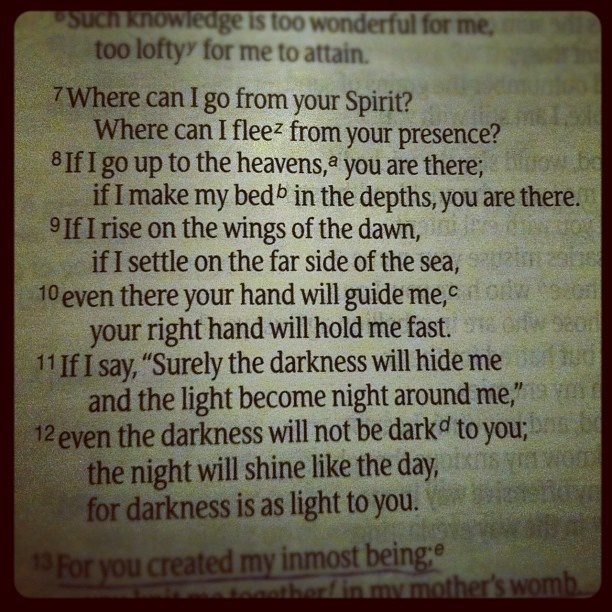 I just think they sound so poetical, and I love the mental picture they conjure. 9. I’ve taught several college classes. I have a good friend (he’s like another grandfather to me) who was a history professor at Fredonia. Once he had me come in with my cousin and explain about our farm, and then another time I did a Civil War skit with my friend Jefferson. I’ve also talked at Canisius about progressive dairy farming to two animal behavior classes. 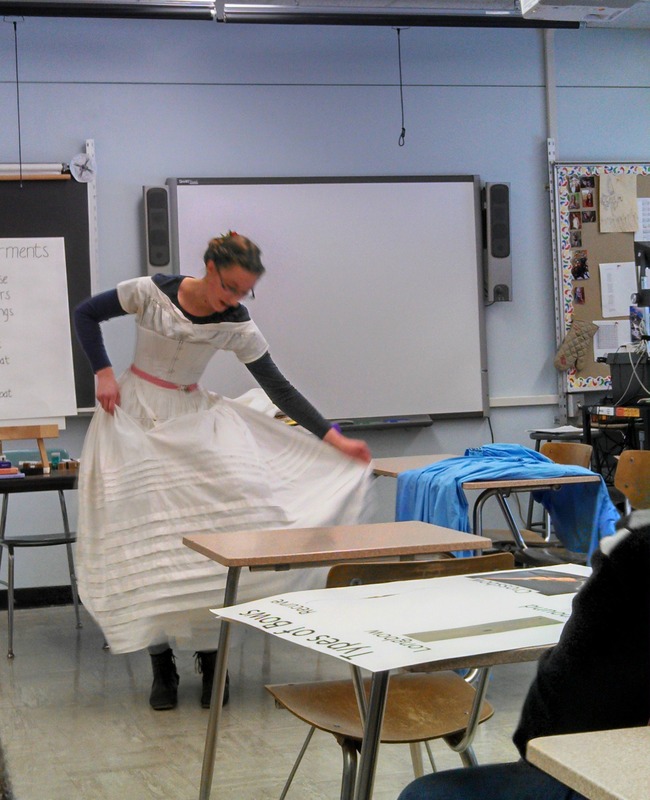 I had to laugh when one student asked, “Um, just how old are you?” I think I was 15 or 16 at the time :). 10. I’ve been on a huge non-fiction book binge. It began when I started reenacting three years ago and hasn’t stopped yet. In the past three years I think the only fiction books I’ve read were for the Classics Club (which I know has been grievously neglected recently). 11. My whole life revolves around tents. 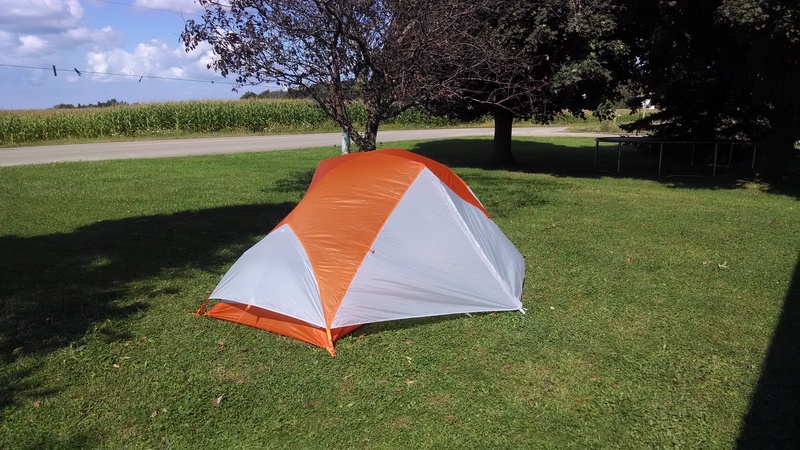 When I was little Dad and I had a “camp in” where we roasted marshmallows on the stove burner and then he slept on a cot while I slept in a little pop-up tent. After the camp in I didn’t want to stop sleeping in the tent! Mom and Dad, being the kind and nurturing parents that they are, let me keep sleeping in it (actually they were just relieved that I was no longer sleeping on a mattress in their bedroom. Hey, I was an only child back then). Well, I slept in that tent until I literally outgrew it; my legs were so long they stuck out of the tent! Mom and Dad bought me a brand new “big girl bed” but I wouldn’t sleep in it until they got a pink Barbie tent that went over the bed. The Barbie tent lasted for quite a while until I got the flu, and, to put it delicately, the Barbie tent was sadly ruined. I was tentless for several years, but contented myself with building epic blanket forts. 1. Hot chocolate or lemonade? If it’s cold out then definitely hot chocolate. Since I don’t care for tea or coffee it’s one of the only warm beverages I drink. There’s nothing better than coming in from a January blizzard to a cup of hot chocolate and Ritz crackers! If it’s hot out I’d much prefer plain water, lemonade just seems to make me more thirsty. 2. Top 3 favorite fiction books? This question is unfair! Asking a bookworm to choose her favorite book is like asking a mother to choose her favorite child! 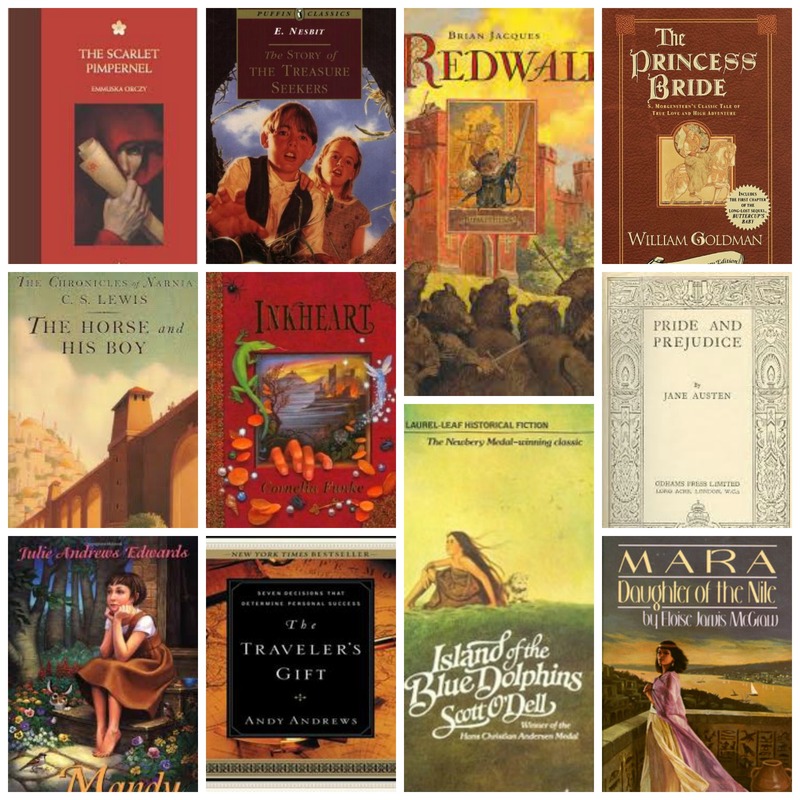 Hmm… The Scarlet Pimpernel by Baroness Emmuska Orczy, Island of the Blue Dolphins by Scott O’Dell, The Story of the Treasure Seekers by Edith Nesbit, Mara, Daughter of the Nile by Eloise Jarvis McGraw, The Chronicles of Narnia by C.S. Lewis (technically a series of 7 books, but I’m counting it as one), The Cambridge Book of Poetry and Song compiled by Charlotte Fiske, The Princess Bride by William Goldman, Pride and Prejudice by Jane Austen, Redwall by Brian Jacques, Mandy by Julie Andrews Edwards, Inkheart by Cornelia Funke, The Hobbit by J.R.R. Tolkien, The Traveler’s Gift by Andy Andrews, oh wait you said three not thirty. Better stop now. 3. Top 3 favorite non-fiction books? Oh boy, this is going to be even harder than #2, I’ll attempt to restrain myself. 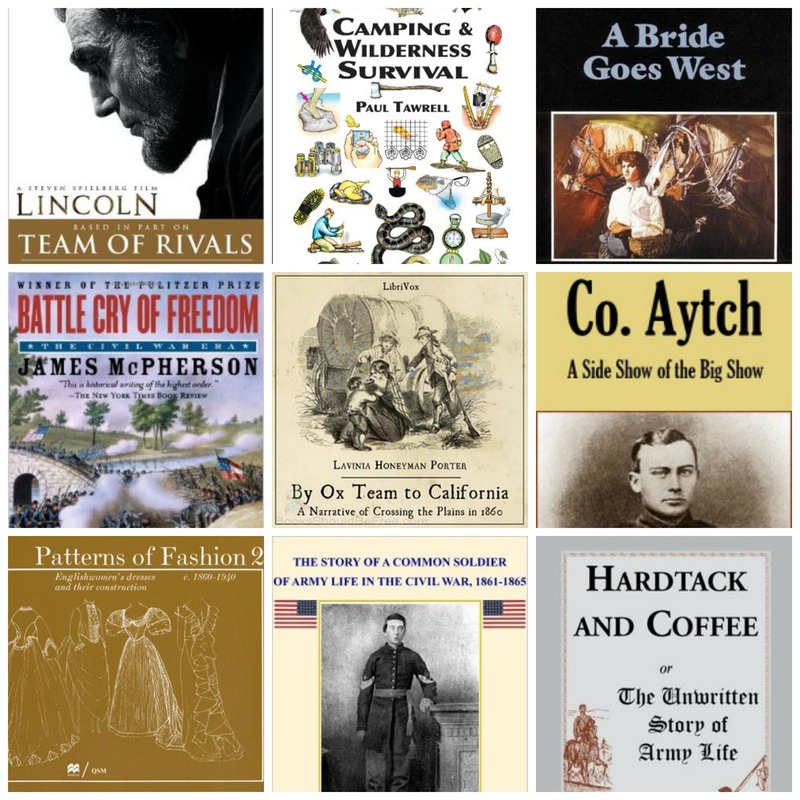 Team of Rivals by Doris Kearns Goodwin, Battle Cry of Freedom by James McPherson, Camping and Wilderness Survival by Paul Tawrell, Patterns of Fashion by Janet Arnold, The Story of a Common Soldier, Of Army Life in the Civil War by Leander Stillwell, Hardtack and Coffee by John Billings, By Ox Team to California by Lavinia Honeyman Porter, and Company Aytch by Sam R. Watkins. 4. 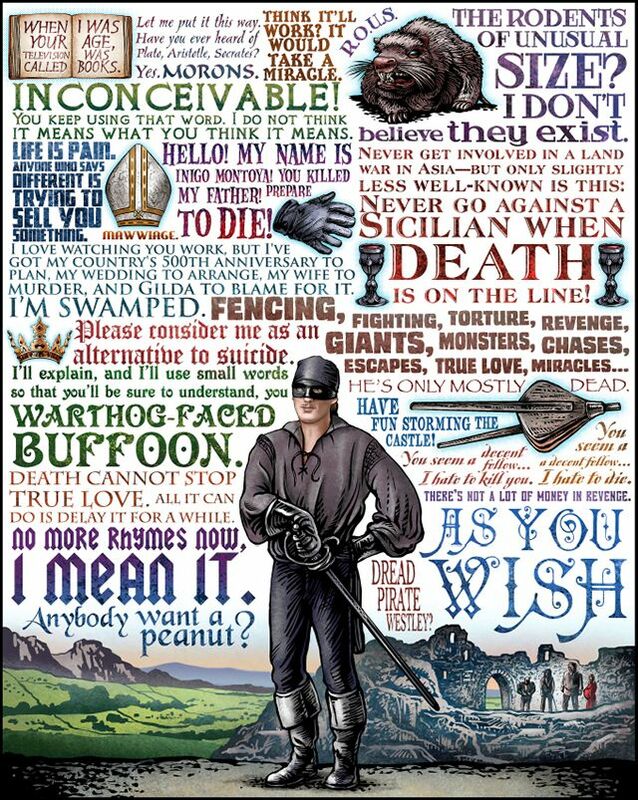 One of your favorite movie quotes? 5. One of your favorite writing quotes? 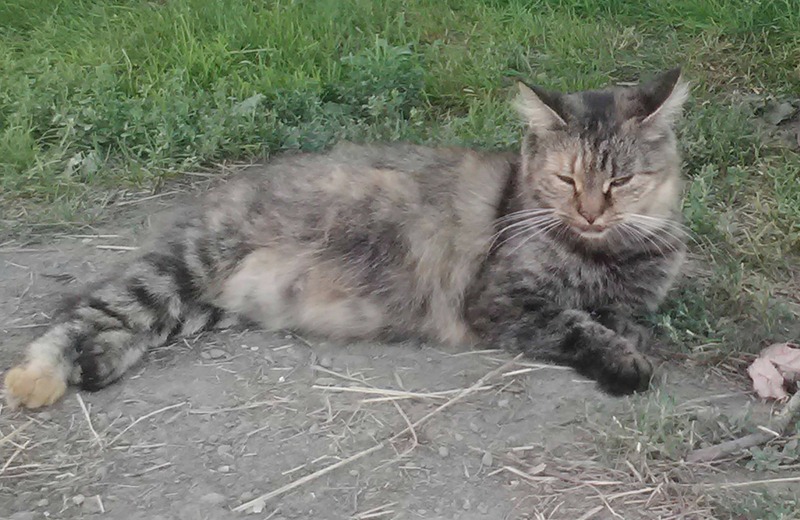 I’m a decided dog person, which is kind of funny since we have quite a few cats on our farm and no dog. If I did have a dog I would want him somewhat largish and of the Heinz 47 variety. There is one cat that I dearly love. Her name is Shadow, and she is the sweetest, friendliest feline you’ll ever meet. She also follows you everywhere, hence the name. 7. City, small town, or country? At the very least country, but probably even more rural, like deep in the mountains down a long dirt road. I don’t think I’d ever like living in town, and I’d probably go crazy in a city. 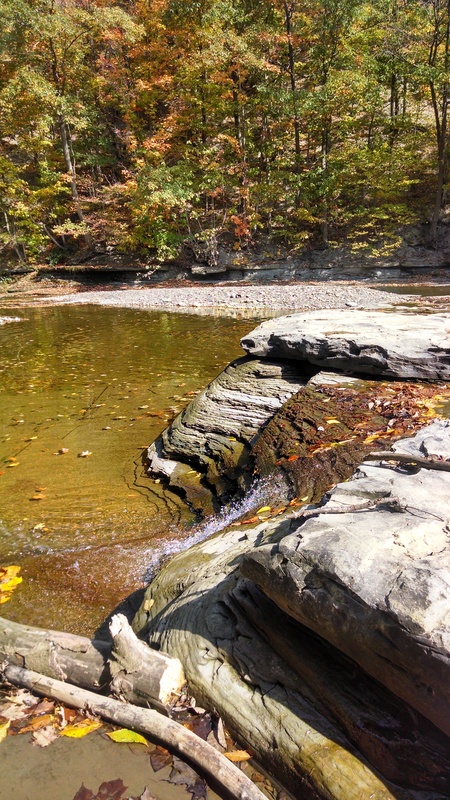 I love having enough room to run around with fields, creeks, and woods to play in. Places with houses close together just seem claustrophobic to me. 8. Favorite blog post you’ve read this week? This might look like I’m just digging for brownie points, but Emily’s post I’m Surrounded by Comedians was hilarious. Go and read it, but don’t drink anything while you do unless you want it to come out your nose! 9. Weirdest food you’ve ever eaten? To be perfectly candid, up until recently I was horribly picky and unwilling to try new things. Obviously as I’ve gotten older I’ve matured, and my visit with Aunt Carol really broadened my horizons. Probably the “weirdest” things I’ve eaten are rattlesnake, goose liver Pâté, and injera. 10. Are you a writer? If so, what are you working on at the moment? Well I write this blog, don’t I? So I suppose I’m a writer 🙂 Next on my list is a poem about flowers and a letter to a friend written in July 1863. 11. Longest road trip you’ve ever been on? Driving to Florida, straight through, with 8 other people! 1. I’m known as something of a pack rat. When I was little I used to keep expired coupons and magazine subscription renewal cards in plastic shopping bags and call them my “special papers”. As I got older my hoarding changed to pretty rocks that I stored in several large buckets. Now I collect books on a rather large scale (somewhere around 700 in my room alone, I think). What is something you’ve collected over the years? 2. Everybody has dreams. 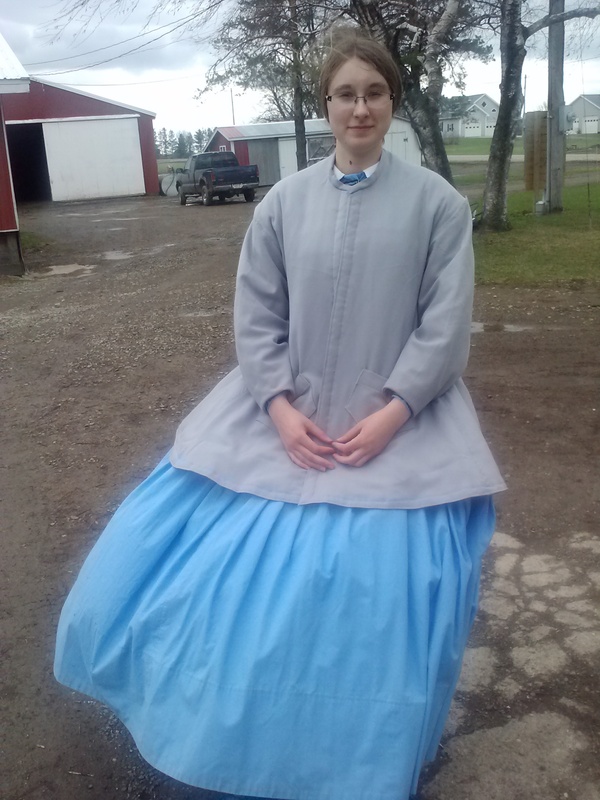 Some of mine have become a reality (like being a reenactor or flying in an airplane), some are going to be very difficult (like thru-hiking the Appalachian Trail), some are God-given (like going on a missions trip), and some are just kind of funny (I’ve always dreamed of being carried over the threshold on my wedding day 😀 ). What is one dream, whether big or little, that you’ve had? 3. I love poetry, especially the rhyming, sentimental 19th century kind. A few that I especially enjoy are Mortality by William Knox, Bivouac of the Dead by Theodore O’Hara, and The Old Man’s Motto by John Godfrey Saxe. What is your favorite poem? 4. Believe it or not, I used to be somewhat shy when I was younger (at least around strangers) and didn’t have much self confidence. I used to slouch in an attempt to make myself as small as possible. I’ll never forget my mom telling me to stand up straight and “take up space!” It’s good advice that I still remember if I’m feeling nervous. What is a piece of wise advice that your parents have given you? 5. & 6. My parents have had to choose quite a few names over the years! Something that has proven helpful in generating name ideas is our family tree. 7 out of 8 of us have at least one family name! Are you named after anyone in your family tree? Would you consider using any of your ancestors’ names for your children? 8. 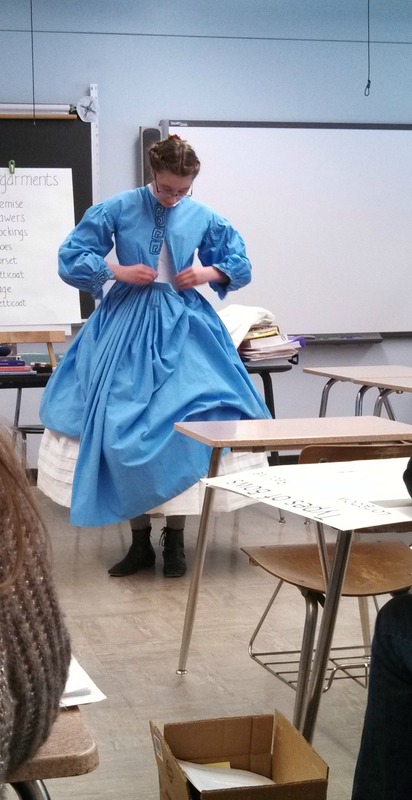 As y’all know by now, I love history. I especially love learning from the lives of people in the past. 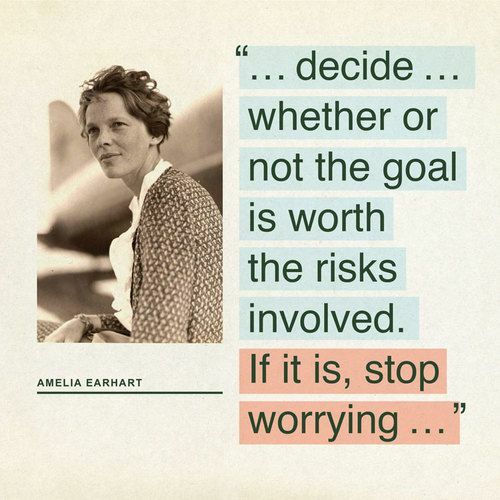 My heroes include Abraham Lincoln, Sergeant Alvin York, William Wilberforce, and Amelia Earhart. Who is one of your heroes from the past? 9. 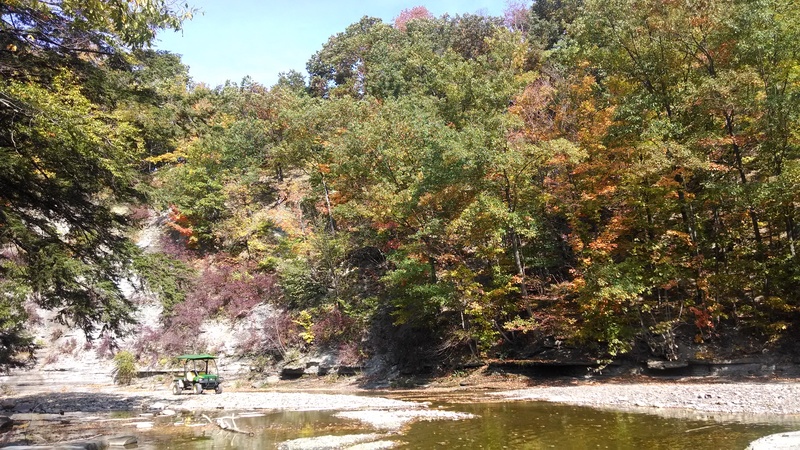 I don’t know why, but I’d really like to visit Tennessee someday. 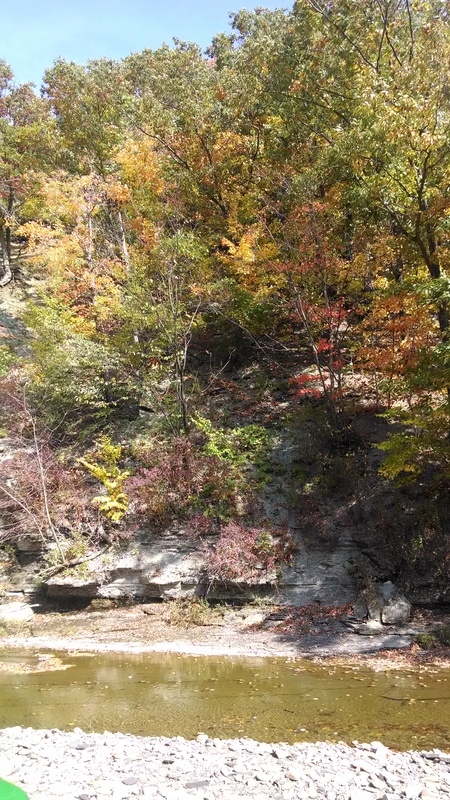 Maybe it has to do with the combination of Civil War history and nature. What state would you most want to visit? 10. If you could live in a world from a book what would it be? Mine would probably be Narnia, but that’s a really difficult question! To help improve your public speaking skills our county 4-H requires you to give a “public presentation” each year. A public presentation is a demonstration, speech, illustrated talk, recitation, or dramatic interpretation that is from 5 to 15 minutes long. Two judges evaluate your talk, give you pointers on areas you could improve, and score your presentation. If you score well enough (within the top 15%) you can advance to district level presentations. 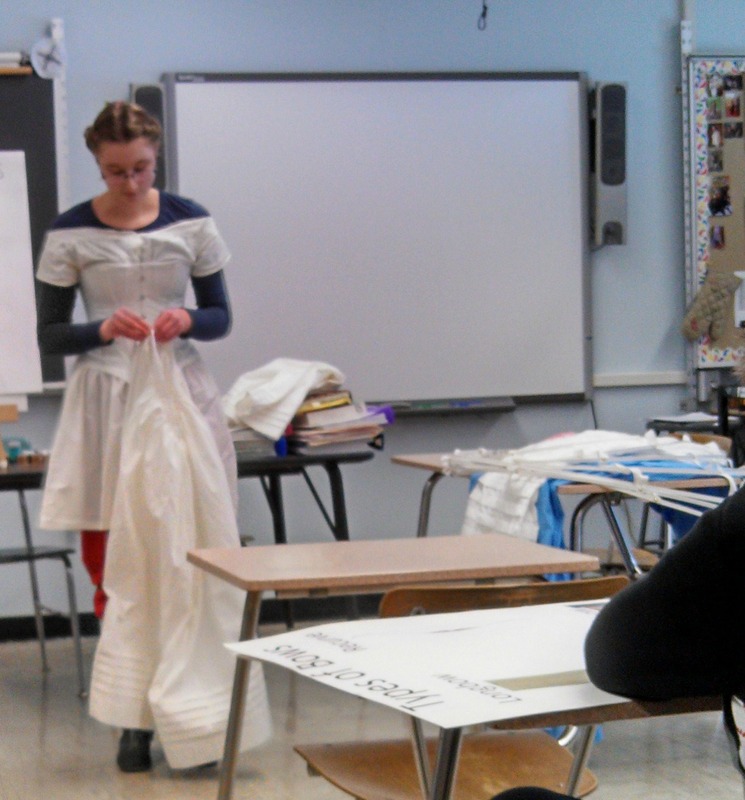 This year I chose to do an illustrated talk about “Getting Dressed in the 1860s”. 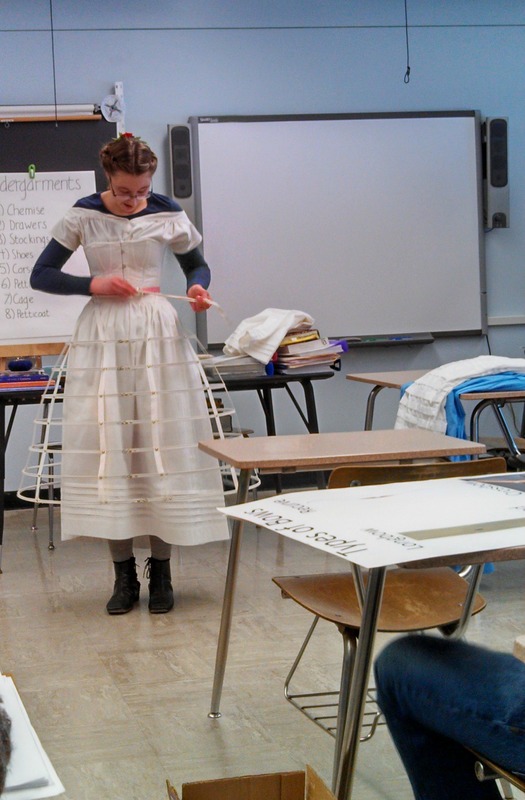 My goal was to instruct about mid 19th century women’s clothing, dispel some myths about corsets and cage crinolines (“hoop skirts”), and have an excuse to dress up in my Civil War garb 🙂 . 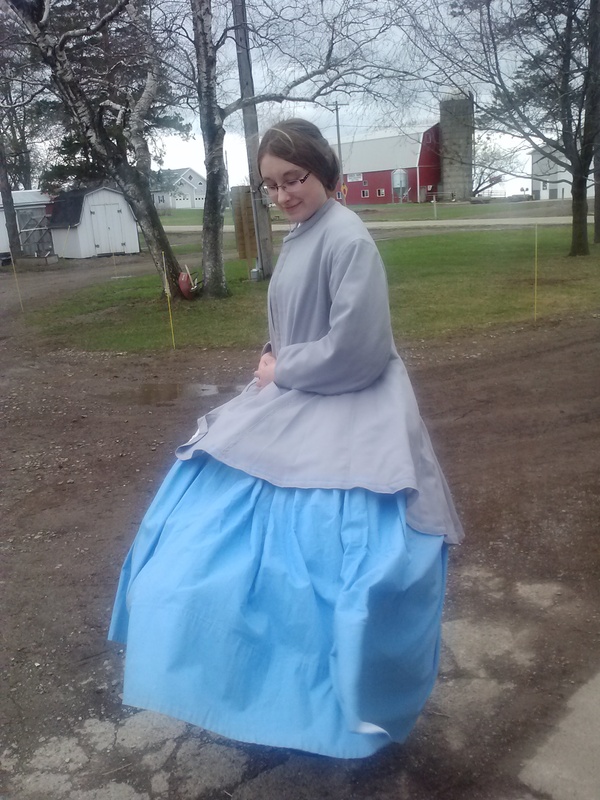 I told about the “ideal silhouette” of the 1860s, explained how the underclothing helped build the proper foundation, and talked about my dress. I actually started out my presentation in my base layers of undergarments and added the other pieces as I explained their purpose. Today Addie, Marcus, and I participated in the district level presentations. Since this is my last year in 4-H (next year I’ll be too old) I was really excited to do well enough to go on to state! Marcus impressed everyone with his computer savvy (his presentation was “Computer Parts”) and Addie is also going to state with her recitation of The Thief Lord by Cornelia Funke! Here are some pictures from county presentations. 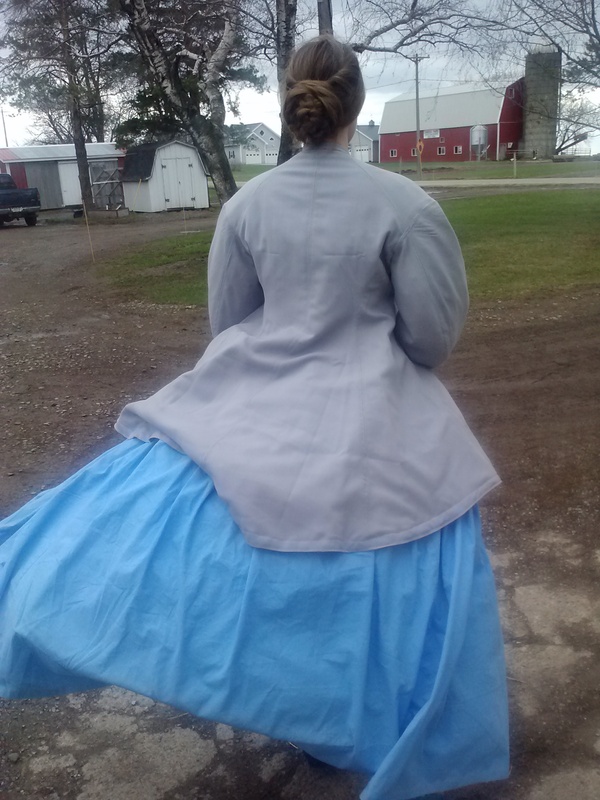 I have to send a *big* thank you to my friend Allison for helping me to finish my new corset in time. 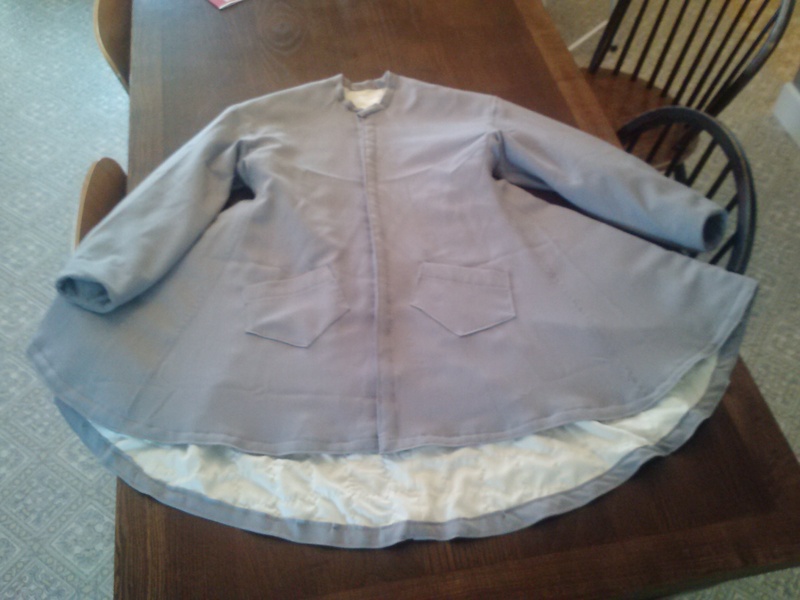 I didn’t get any photos at district, but afterwards Addie kindly snapped a few quick pics of the new Civil War coat I sewed called a “paletot”. It’s actually Addie’s but she let me borrow it for today since mine’s not done yet. Mine will be the same pattern and fabric, I’m just going to make the sleeves longer. We also have to decide what color we want to trim them in. Any suggestions? As you can tell from the pictures it was quite windy out! 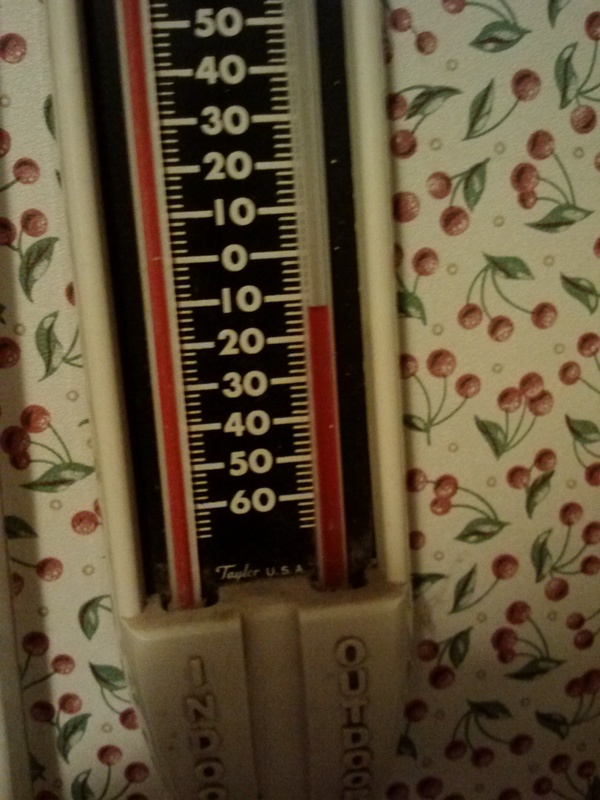 A picture I took of the thermometer one morning before going out to do chores. -13! 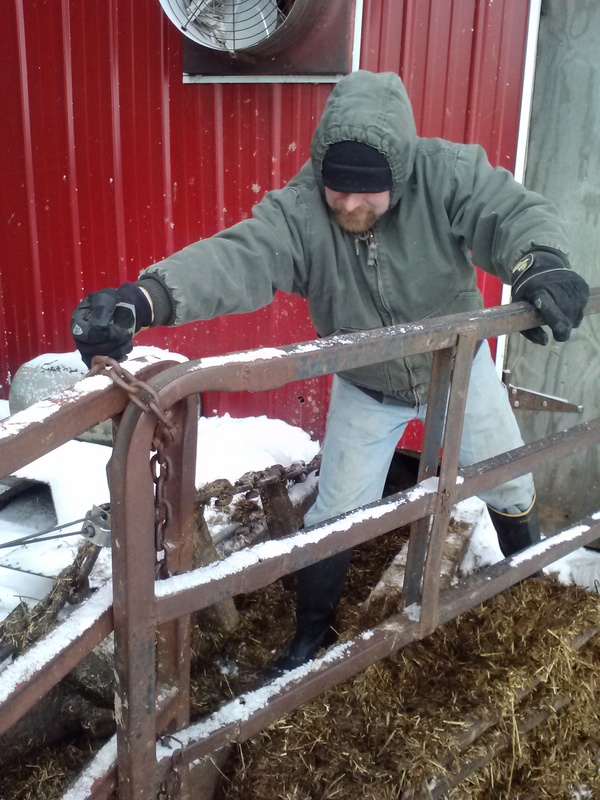 People often ask me what we do on the farm during the winter. True, there are no fields to till or crops to harvest, but there are plenty of other things to keep us busy! 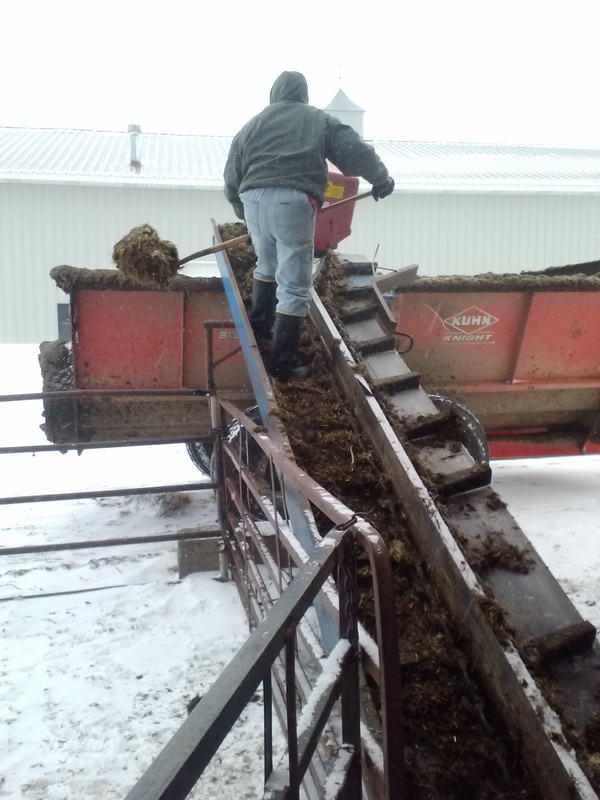 Besides the standard cow care that we do every day (feeding, milking, cleaning barn, etc.) there’s also plowing snow (lots! ), unfreezing pipes, fixing equipment, unfreezing equipment, etc. 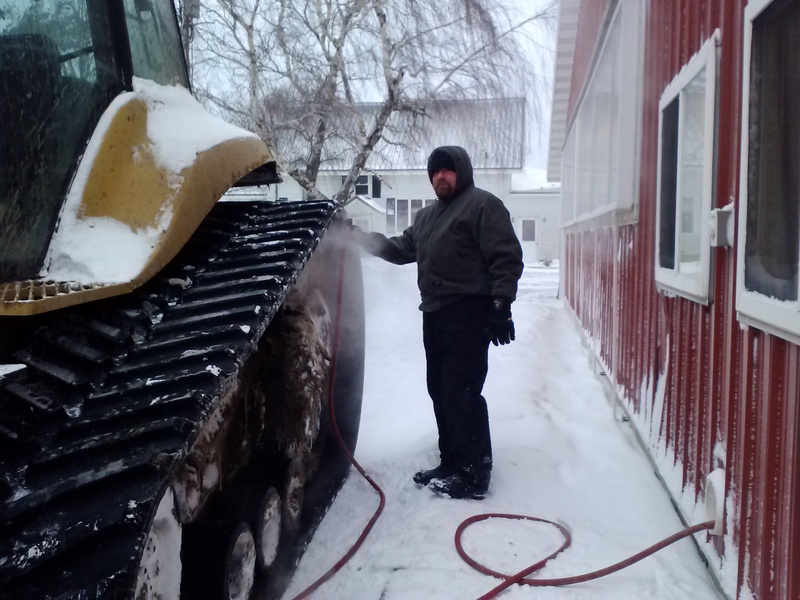 Tasks that we perform every day become difficult when compounded with snow, sub-zero temperatures and driving winds. For example, we clean our milking cow barn 3 times a day. 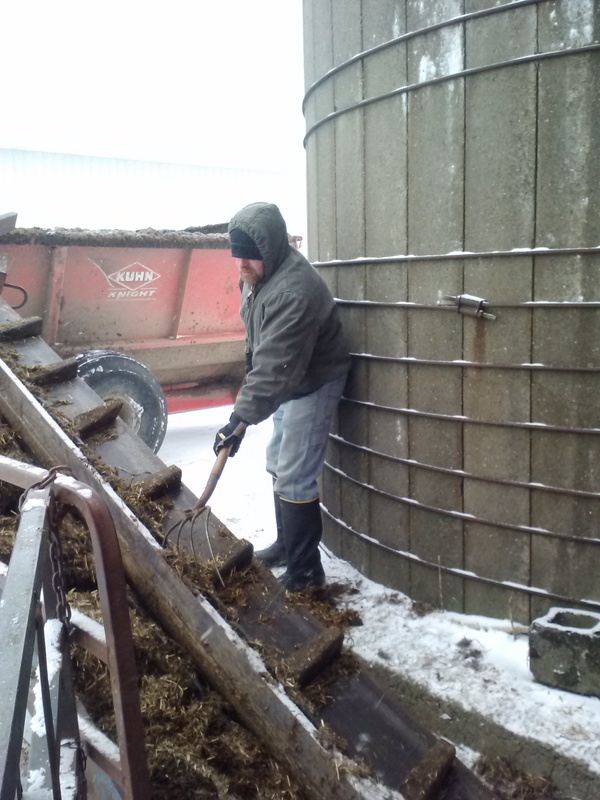 The manure is scraped into a spreader and applied to our fields as a natural fertilizer. We use a CAT Challenger tractor with tracks instead of wheels to pull the spreader. Normally you just jump into the tractor and drive to the field, but on really cold days the drive wheels of the tracks can freeze. That means you have to thaw out the wheels before you can go anywhere. Another job that can be tricky in the winter is cleaning the heifer barn. 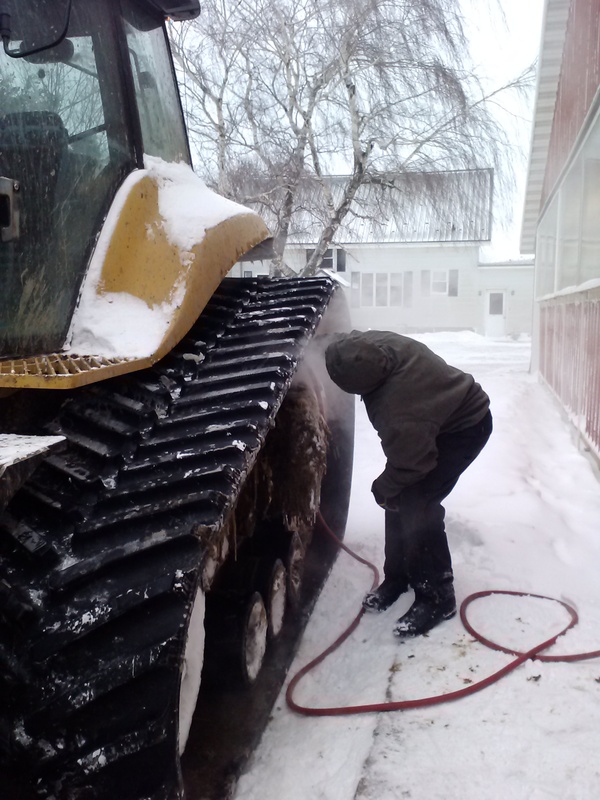 All of our other barns can be cleaned with a tractor or skid loader, except for one of our heifer barns. 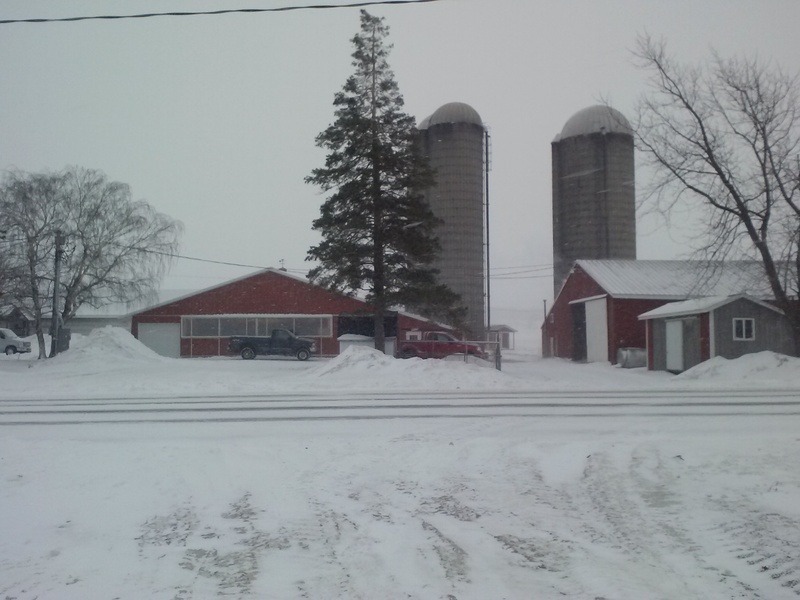 It’s an older style barn with a gutter (trough) in the floor. The manure has to be scraped by hand into the gutter twice a day. There are paddles in the gutter attached to a chain that scrape the manure out of the gutter and dump it into the spreader. 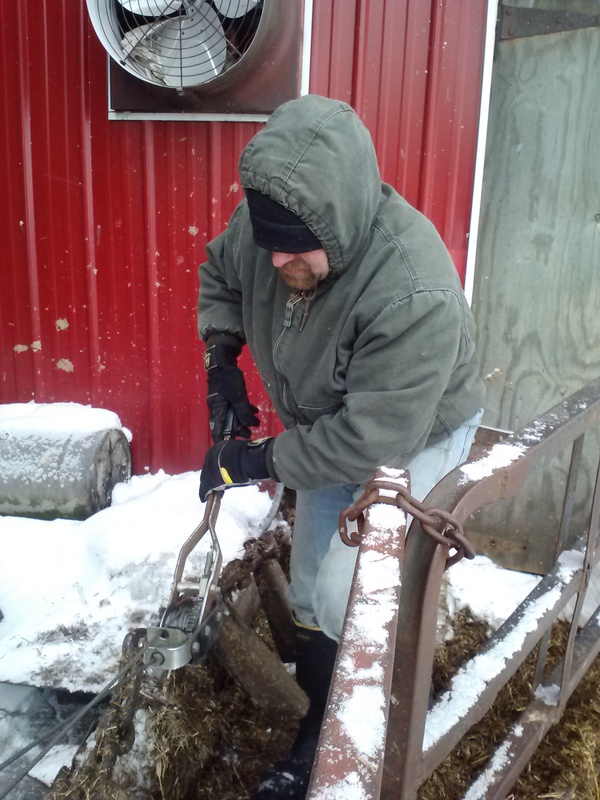 In the winter sometimes frozen manure can cause the chain to pop out of the gutter, which takes a while to fix. I helped Dad fix it one day and snapped some pics of him with my phone. Thankfully, cows do pretty good in the cold. As long as they have shelter, high quality feed, and are clean and dry they do fine. Most cows actually prefer cooler weather to the hot, humid summer. 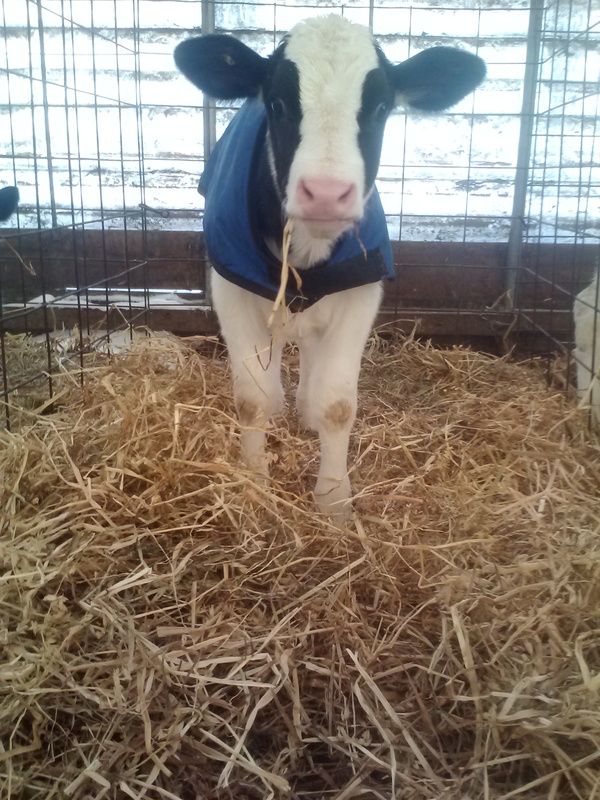 Since calves are babies they require extra attention in the winter. When it’s cold we give them deep and fluffy bedding that they can “nestle” in and blankets or coats to keep them warm. We closely watch that they are eating enough so they can maintain their body heat and make sure that their buckets stay unfroze. 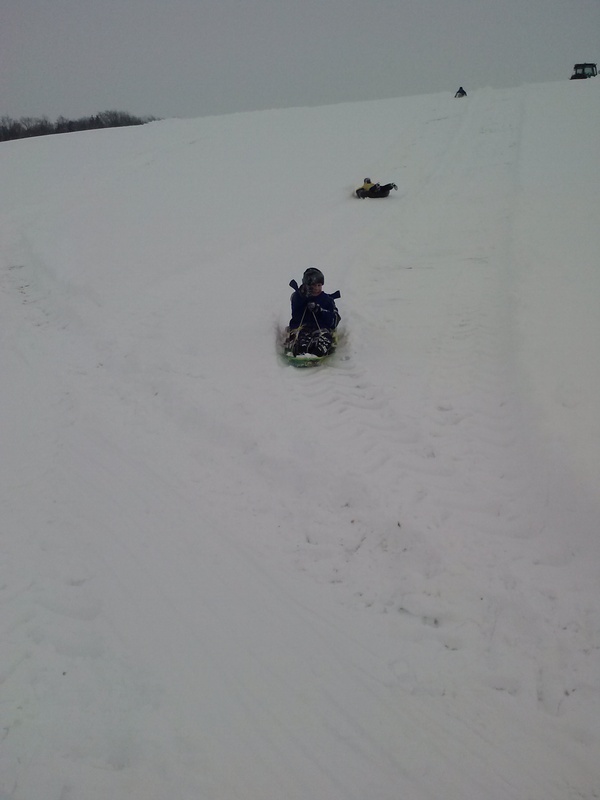 Of course we have plenty of fun in the winter also! 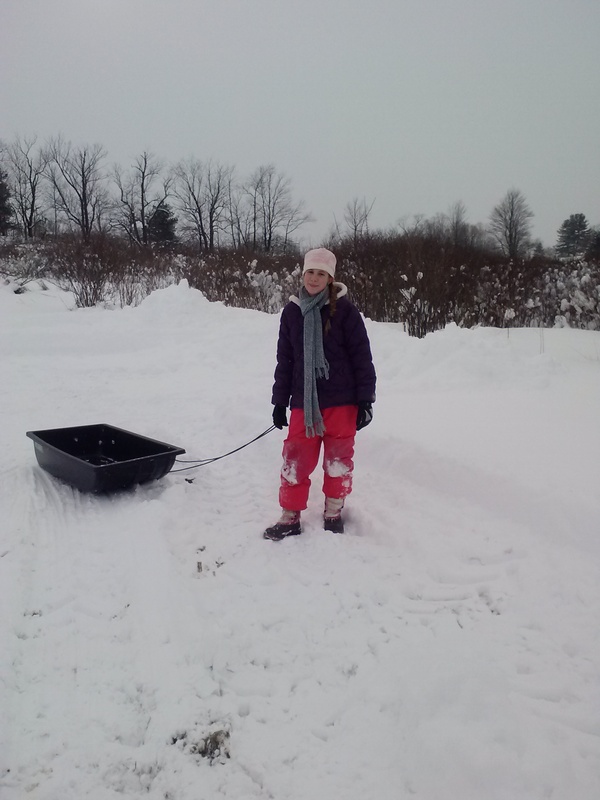 One of my favorite cold weather activities is snow shoeing. 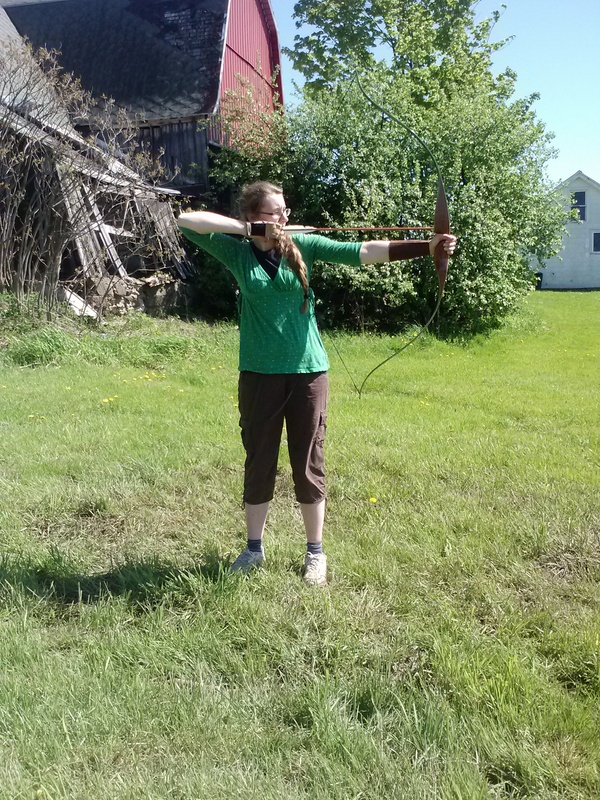 This year I snow-shoed over to our neighbor’s house several times to shoot my recurve bow. 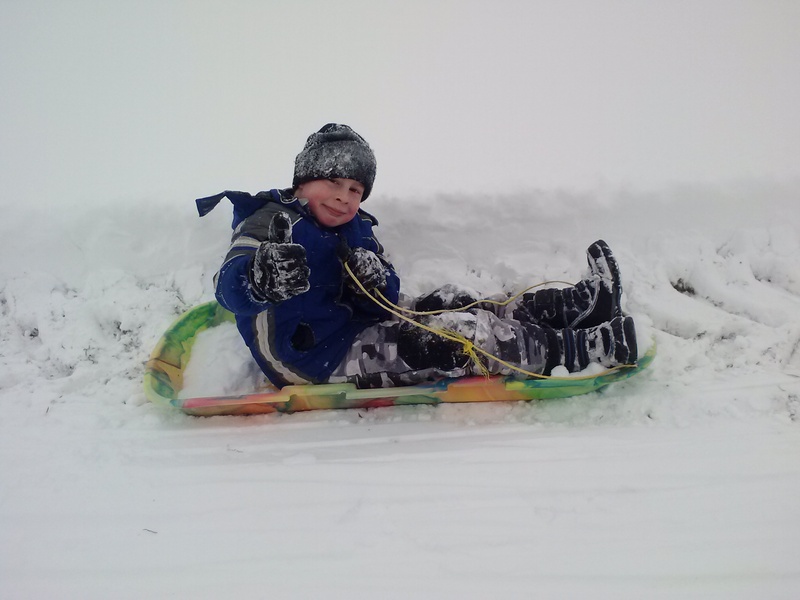 Living on a farm also means you always have the perfect sledding hills! 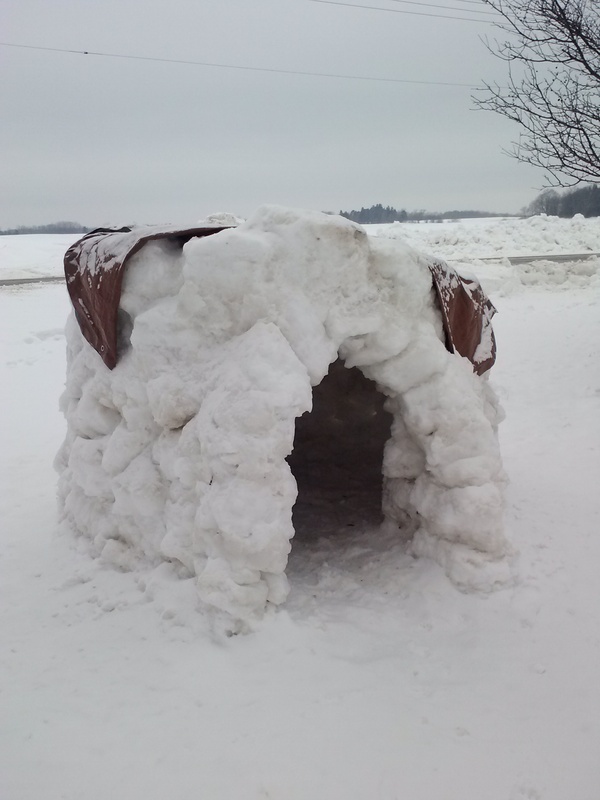 We even built an igloo this year! 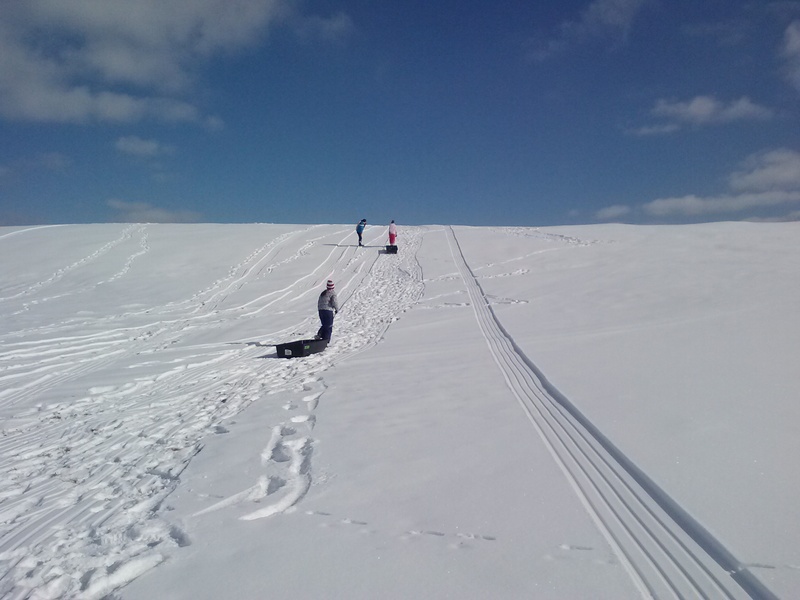 What is the most challenging part of winter for you? What do you do for fun? 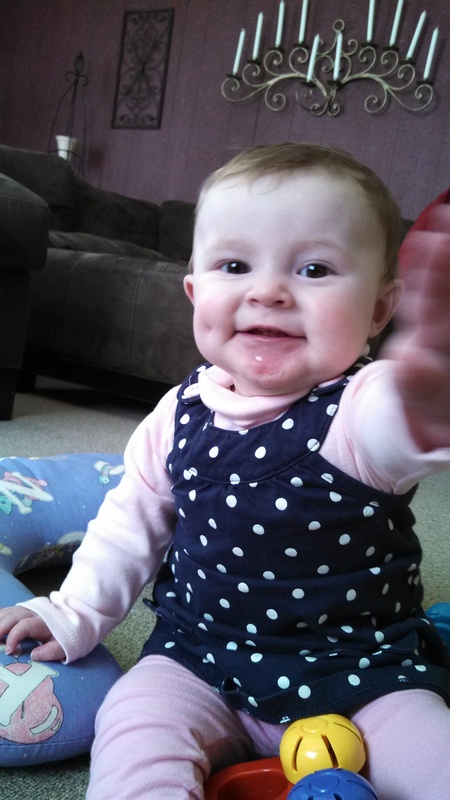 Evie after 1 year…God is so good! 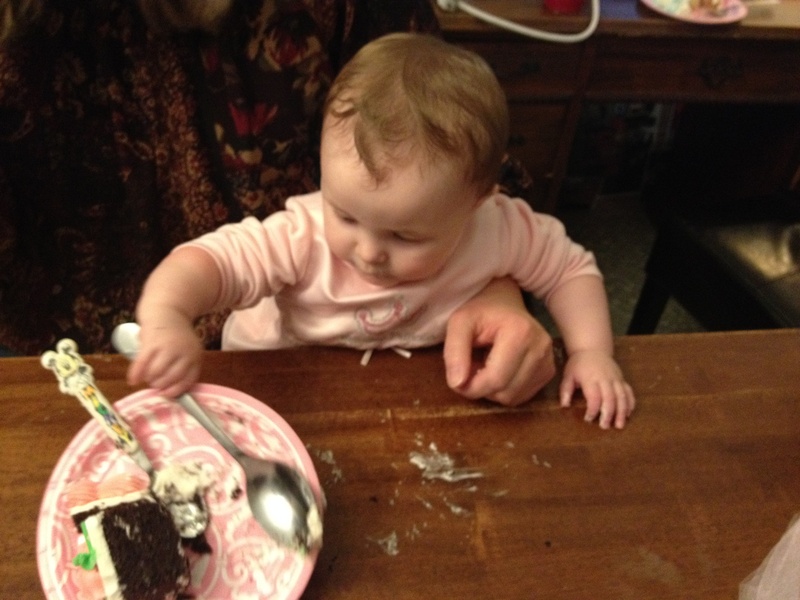 Today is Evie’s first birthday! 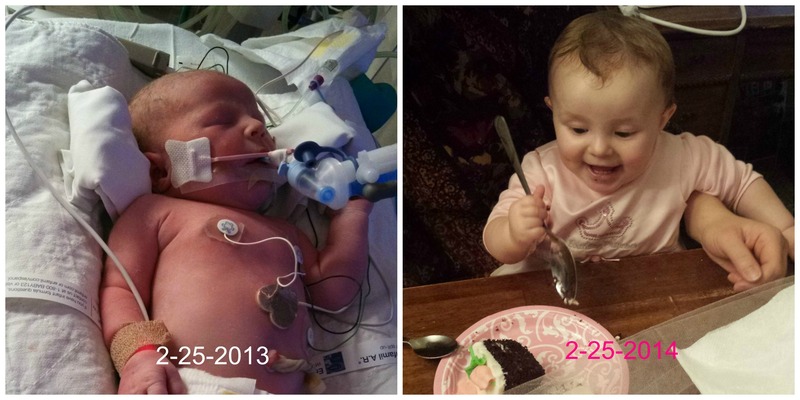 When I think of how far she’s come and the milestones she’s had it amazes me. 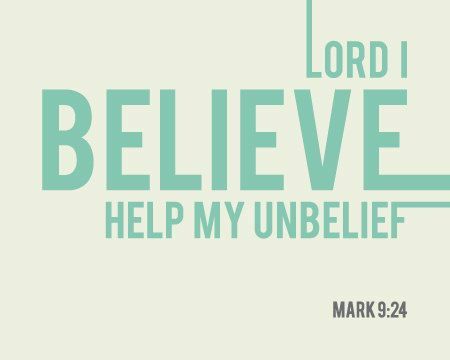 God has truly provided many miracles already in her short life. Last Sunday our pastor was speaking about prayer and asked to video Mom & Dad giving their testimony of Evie. You can watch the video here. I also put together a slideshow of pictures that you can view here.